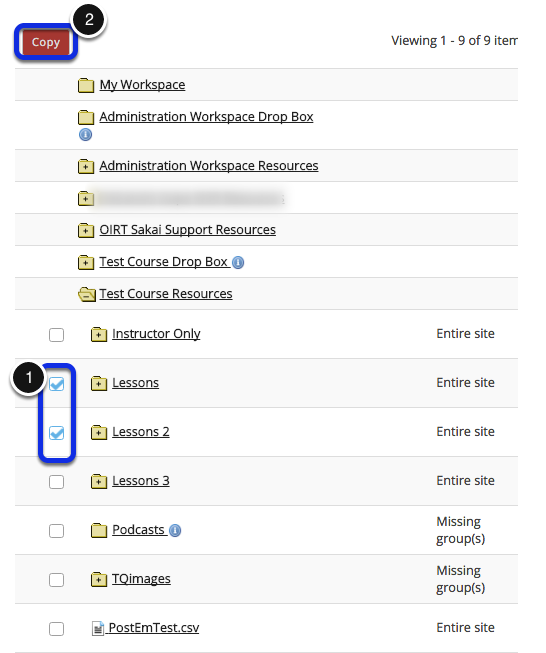 Instructor User Guide ResourcesHow do I copy a Resources file or folder from one site to another site? 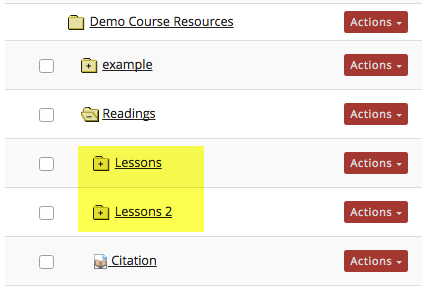 Instructors can copy a Resource file or folder from on site to another site. Select the Resources tool from the Tool Menu of the destination site. Click Copy Content from My Other Sites. This displays the Resource folders located in your other sites. Select the files or folders you would like to copy, then click Copy. 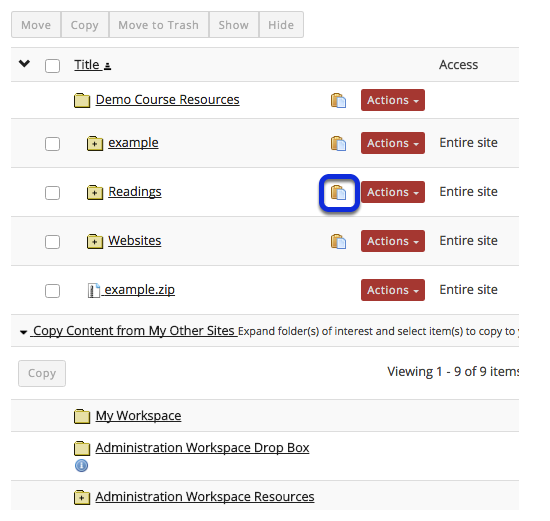 This places the Resources page into a temporary display state to facilitate the copying of files. Click folders with + icon to view content. (Click Resources link in breadcrumb trail to cancel and reset page). To the right of the folder you want to copy the files or folders to, click the clipboard icon. 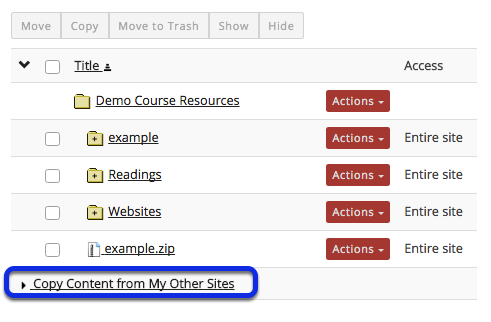 This places a copy of the files or folders into the Resources folder on the other site. Prev: How do I copy a file or folder within Resources in the same site? Next: How do I reorder files or folders within Resources?